Home elevators can make it much easier to get from one level to another in your home. If you are searching for the best home elevators, AIP Mobility Plus is here to help. We understand how important it is for you or your loved ones to be able to navigate your homes with ease. Here we list a few reasons to consider getting an affordable home elevator. 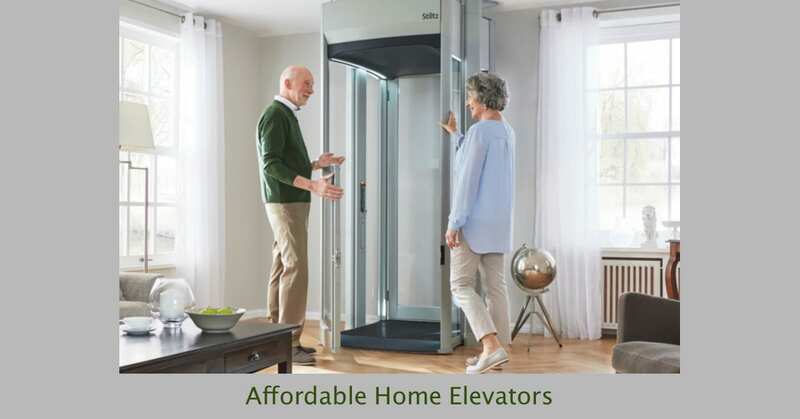 One of the reasons home elevators for seniors are becoming more popular is that the elevators make home life simpler. Seniors will not have to climb the stairs repeatedly, which can relieve the pain and pressure on the knees and legs that sometimes comes with excessive movement. Elderly individuals who need medical equipment or particular pieces of furniture to improve their health and comfort, can also use the home elevator to transport large or heavy objects without putting a strain on their backs. If your parent or grandparent receives home health care, the lift can assist health professionals in getting to your loved one quicker. The elevator can give your parent or grandparent a sense of independence and allow him or her to continue living at home despite health issues. A home elevator takes up less space than a stairwell. This is a great benefit to keep your space open resulting in more comfort. Modern home elevators also increase the value of your home which is great when you choose to sell. If you choose to stay in your home, you can continue to enjoy the benefits and convenience of a home elevator. Luxury residential elevators can make your home safer. The elevators work well for seniors, children, and individuals with health conditions that may have trouble climbing the stairs. A home elevator reduces the chances of home accidents like falling down the stairs or tripping over the stair rails. The home elevator you choose can also add style to your existing room. Elevators are becoming more affordable, which means that more homeowners are installing them. This amenity is not just reserved for the wealthy anymore, and homeowners in various neighborhoods understand the value of a home elevator. An elevator could be a worthwhile investment that will serve you well for years to come. It is not likely that the home elevator will go out of style, so you will always have a stylish addition to your home that will make you and your family safer and more comfortable. When you are ready to have an elevator installed in your home, AIP Mobility Plus is prepared to help. Our qualified team is here to answer your questions and provide you with the best services and products based on your health needs. In addition to affordable home elevators we offer a variety of home mobility services that accommodate individuals with special mobility needs. When you are ready to get a home elevator, we will go over all the details including the home elevator cost. We work with you to find the right solution that works best for your budget. There are also several elevator sizes, and features to choose from, so you can select the elevator that would be the best fit for your residence. Use our secure contact form to get in touch with one of our agents who can walk you through the consultation and home elevator installation process.